Situated on the edge of the Southern Mayenne village of La Rouaudiere with 4 bedrooms all on . . . Plenty of scope to build on an already successful bar and restaurant to serve both the . 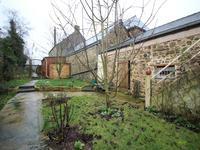 . .
Stone Cottage with 2,200m2 of Land, & a large garage & workshop. This little cottage is full of character with wooden beamed ceilings, mosaic floors and a . . .
Great holiday home, currently with one bedroom on the first floor and great living space on . . . Single storey 2 bedroom detached stone cottage with garage, outbuildings and good sized garden. This delightful 2 bedroomed stone cottage is situated at the end of a small hamlet just . . . Private and fully renovated farmhouse with plenty of character close to villages of La . . . Urgent sale needed. Massive reduction of over 73k Spacious, excellent condition, plenty of . . .
2 Bedroomed village house with a large garage. This two bedroomed house is set in a lovely village and is within walking distance to all the . . . Currently a one bedroom property with a large living/dining room of approx 36m² with option . . .
Great earning potential from this completely renovated property with 16 solar panels . . . Situated in a quiet side street in the centre of the small village of St Aignan sur Roe this . . .
A much loved one bedroom cottage - with stone outbuildings surrounded by glorious countryside . 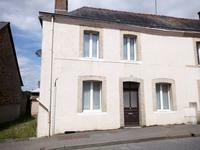 . .
Large property in the village centre of Saint Aignan sur Roe in the Southern Mayenne with . . .
A beautifully renovated longere standing in its own grounds. There is potential to expand the main house or convert barns to gites. Renovated longère with three bedrooms in a tranquil countryside sitting on the edge of the . . . Traditional farmhouse with 3 bedrooms and the possibility to increase the internal living . . .